Launched in January 2013, Citibank Express machines give customers 24/7 access to almost all branch banking services.The machines can be placed in high-traffic, space-constrained areas convenient to customers and are easily installed, moved and upgraded with new features. Through deep strategic experience design, Citibank Express machines was created to establish a new competitive advantage for Citi by linking the physical and digital banking channels into one. 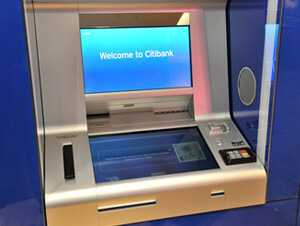 Citibank Express machines are deployed in Singapore, Malaysia and the Philippines now with plans to add in-branch and out-of-branch locations across Asia in the coming year.